Say goodbye to boring corporate events. Tired of the annual company party where the “highlight” is the door prize drawing? Done with empty dance floors where no one dances? 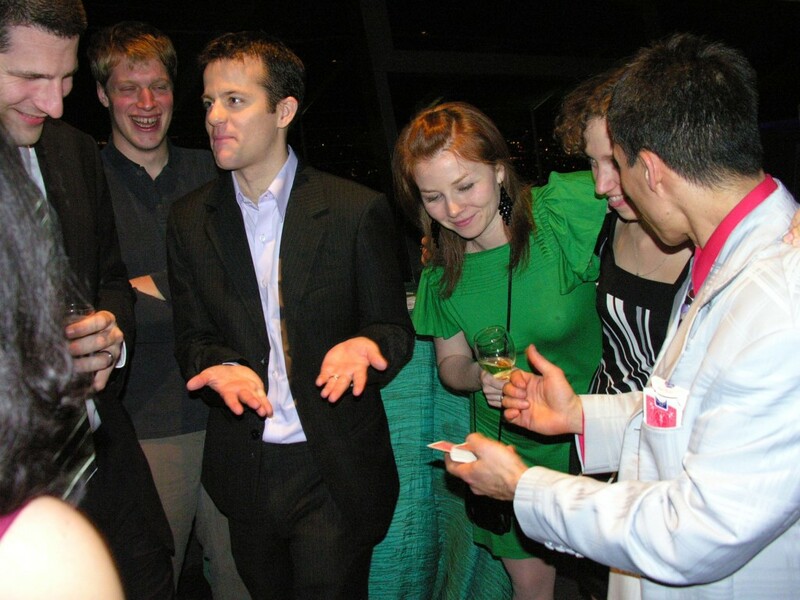 We guarantee our interactive magic will make your staff party, company banquet, holiday celebration, or other corporate event fun and unforgettable. Whether for an audience of hundreds of an intimate gathering of twenty, audience interaction is always an important element of our performances, so your guests will be a part of the show. Visual comedy is combined with unbelievable magic that people will go home talking about. Strolling magic is designed for ideal for larger groups and happens when Rick Anderson or Jeff Evans mingle with your guests and entertains groups individually. It is ideal during cocktail hour or after dinner when there is no time for everyone to stop and watch a show. Some people like this best because the magic happens right in front of them! No stage, lighting, or sound system is necessary. Each group gets its own show! It doesn’t interfere with the flow of the event because other things can be going on as the magic happens. There is a lot of audience participation–more than just picking a card or selecting a number, but magic that actually happens in the hands of a spectator! 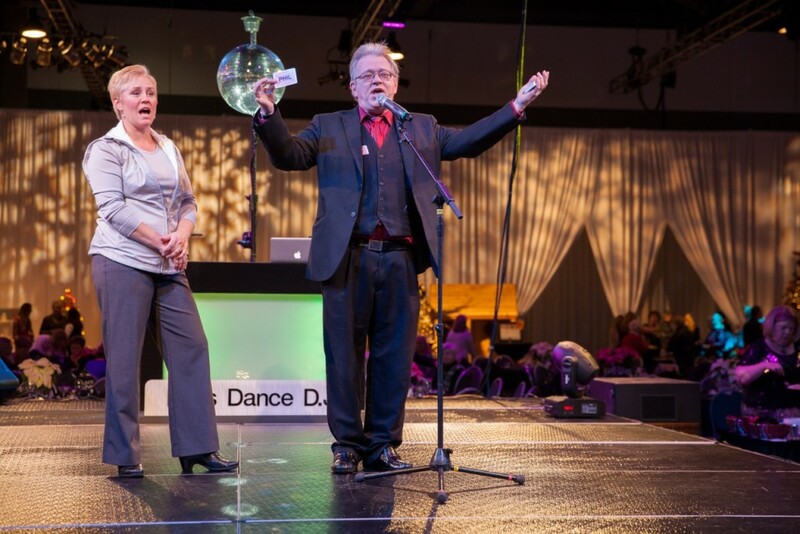 Our Stand-Up and Stage Magic Shows can be tailored for your venue and event. Rick and Jeff can use your sound system or supply their own equipment. Backdrops, sound equipment, and portable lighting can be supplied to insure that everyone can see, hear, and enjoy the show. 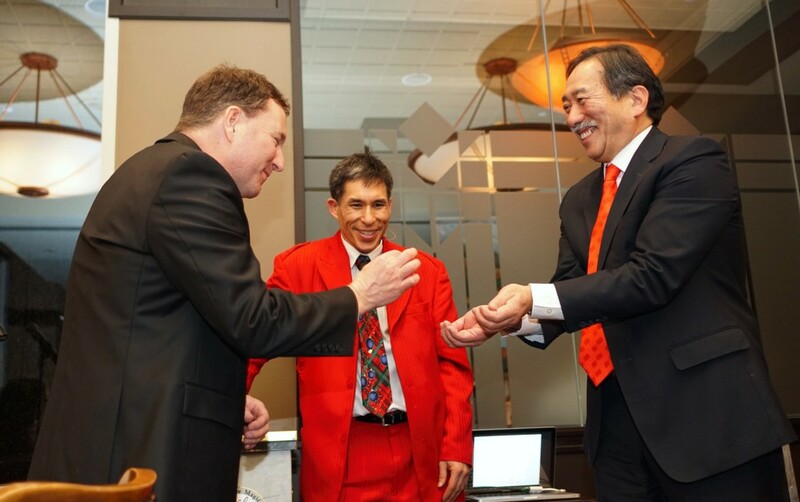 This style of magic is perfect after-dinner entertainment for your corporate event. As with all of our performances, audience participation is an important element. Your guests will be part of the fun… and you’ll want to have a camera handy! “Jeff Evans is outstanding! We had over 150 guests attend our annual Credit Union event, which included social hour, business meeting, & dinner… Jeff delivers more than just illusions; with his impeccable timing, it was more like watching stand-up comedy with a twist!… he is a professional in every sense of the word. I would hire him again in a heartbeat!